I was thrilled when Emily Zinkin from Head of Zeus invited me to join the Ruby Flynn blog tour. Ruby Flynn is a lovely book set in Ireland and Liverpool and I'm delighted to share a special guest post from the author, Nadine Dorries, in which Nadine talks about her inspiration behind Ruby Flynn. When I finished writing The Four Streets trilogy, I knew, I had to write something completely different. My editor would not describe those words as music to her ears. 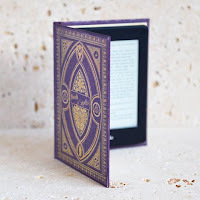 If you write a novel and it becomes a number one bestseller, what your publisher wants you to keep doing, is to keep writing more of the same. The fact was that The Four Streets trilogy was such an emotionally powerful journey for me, that I felt as though I had to set my next novel in a place I truly loved and where I had spent the best days of my life, in a remote village on the west coast of Ireland. I was born in 1950’s Liverpool, the granddaughter of an Irish grandmother, Nellie Deane, who never stopped missing home and so every time she won on the bingo, she would scoop me up, kidnap me and take me home. To her home, a blissfully rural cottage still standing today. This had many advantages for me. I had my own donkey, Jacko. There were no boundaries to the streams and fields and mountains I could roam and play in. I learnt how to milk a cow, stack a haystack, beat the midges and fell asleep at night in front of the fire listening to the adults chattering and telling stories they had all heard before. In the graveyard, there was a headstone, which haunted me. It was on a grave of two brothers who had died in their cottage in the snow of ’47. A notorious winter in the weather history of the Atlantic Coast. Returning to the village following the publication of The Ballymara Road, I revisited the graveyard and the stone ignited something in the adult me and that was where the first idea of Ruby Flynn came to me, when I was stood on a mountainside cemetery overlooking the Atlantic Ocean. In Ruby Flynn, I have kept all the original village names, and each description is of a place that exists. Nadine's website is launching early next year with a 6-weekly magazine - click here to sign up now for free. 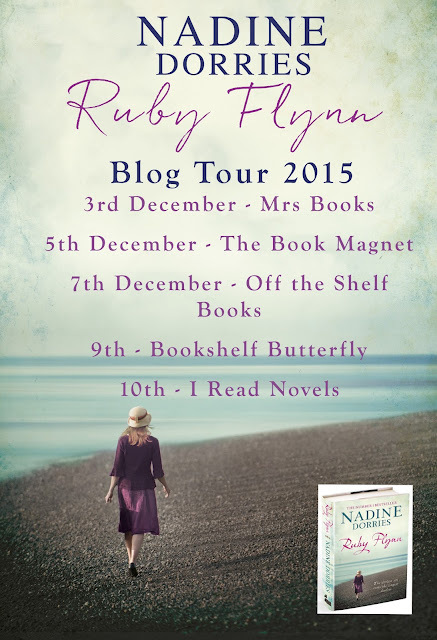 You can also read my review of Ruby Flynn here and don't forget to follow the tour!